In my previous post I covered the steps to install additional SMS Provider in Configuration Manager setup. Now that we know that we can install multiple SMS providers, it would be nice to know how to find SMS provider location. In other words, if you want to find SCCM SMS Provider location, this post will help you. 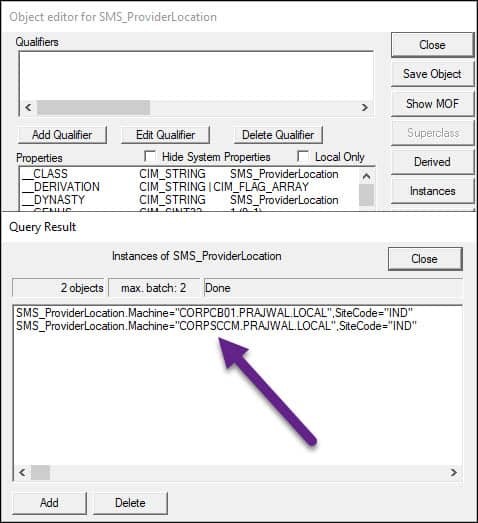 There are many methods to find SCCM SMS provider location. I will cover all of them in this post. In case you know any other method to find SMS provider in ConfigMgr, do let me know in comments section. 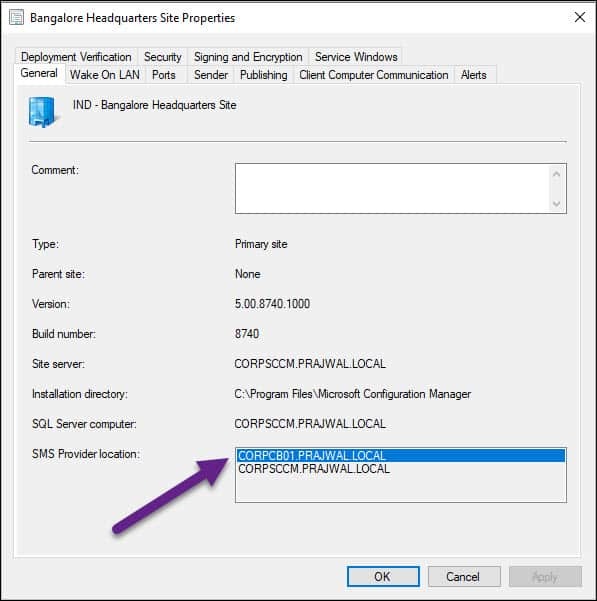 The easiest and quick method to find SMS Provider location is via SCCM console. Here are the steps. Navigate to Administration\Overview\Site Configuration\Servers and Site System Roles. Select the Server, right click and click Properties. On Site Properties window, click General. Look for SMS Provider Location. That’s where you find SMS Providers. 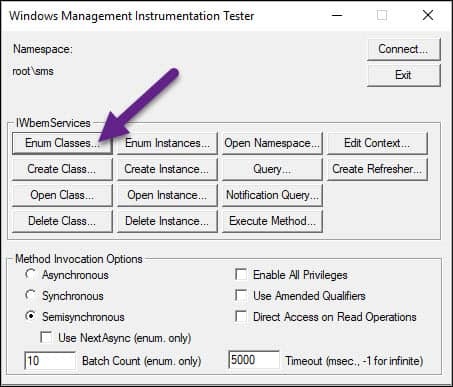 The second method to find SMS provider is using WMI tester or WBEMTest tool. On your site server, run the command WBEMTest. 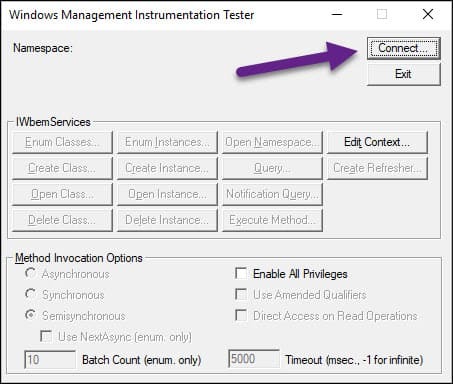 On the Windows Management Instrumentation Tester window, click Connect. Under Namespace, type root\sms and click Connect. Click Enum Classes button. It now asks you to enter superclass name. Do not type anything in checkbox. Only click Recursive radio button and click OK.
Scroll down and double click SMS_ProviderLocation. Now click Instances (this option is present on right side). The query results shows the instances of SMS_ProviderLocation. You can determine SMS provider location using PowerShell command. Click drop down arrow on top left of SCCM console. Now click Connect via Windows PowerShell. Enter the below command. You now see the SMS providers present in your setup.